The 1890s were traumatic for Mark Twain. 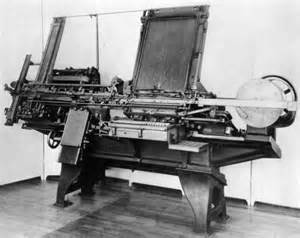 His company Webster & Co. went into debt over Paige typesetters. The company was kept afloat with Twain’s investments, but he could not raise capital and the prototypes were unsuccessful as well. In 1894 he assumed the company’s debts and declared bankruptcy. In current dollar amounts, the investments cost him millions. He spent some of the early 1890s in Europe, where he underwent treatments for various physical ailments. In regards to his writing, he produced a dozen or so important sketches (see below), The American Claimant, Tom Sawyer Abroad, Pudd’nhead Wilson, Tom Sawyer, Detective, and Personal Recollections of Joan of Arc. This is his last productive years, despite his financial and physical problems. The last fifteen years of his life, after the 1896 death of his daughter, would be focused on shorter writings and one final travelogue (Around the Equator). The seventeen entries from the Library of America anthology of Mark Twain’s shorter works covering these five years are all interesting and most of them speak to some of the themes of this blog. He returns from time to time to his role as a humorist, but his writing is clearly becoming more serious and pointed in regards to its social critique. The short writings from 1891 were produced while in Europe. Two deal directly with life in Europe (“Aix-les-Bains” and “Playing Courier”), especially his therapeutic treatments as Swiss spas. “Mental Telegraphy” is a humorous take on the phenomenon of people around the world arriving at a similar idea. This seems to have been happening a lot in the period of technological revolutions. The most well-known of these happened earlier with the Newton-Leibnitz situation. Both invented calculus independently. Twain mentions the more contemporary Darwin-Wallace coincidence. Fascinating for me is what this tells us about the reality of tides of history. There do seem to be moments when people around the world come to a certain realization. I think we are getting there with anti-capitalism (Occupy was one sign of this). Eighteen-ninety-three was more productive in short writings. This anthology collected seven works, including some short stories, from that year. “The £1,000,000 Bank-Note” is an interesting commentary on wealth. The experiment of giving someone such a bill and seeing if that makes her rich is an important thought exercise in a time when people hoard enormous and grotesque amounts of money. Of course, in real life, these figures make no sense. Only in the world of high finance and in theory do currency amounts like £1,000,000 have any real meaning. “About All Kinds of Ships” does a few things. By putting Noah’s Ark into the modern bureaucratic regulatory system, he asks interesting questions about freedom and progress. His larger point is that progress (technological or otherwise) is largely meaningless is it is just abstract improvements or removed from our daily lives. A new steamer (or new green city in China) may be progress but prove to be distractions if not actually improving the lives of most people. “We are victims of one common superstition—the superstition that we realize the changes that are taking place in the world because we read about them and know what they are.” (81) “Extracts from Adam’s Diary” is an important work from this year. It should be read for pure pleasure and joy. I suppose we could weigh it down with theological arguments or questions about Twain’s religious point of view. At its heart, is the story of two strangers, through suffering and exile, coming to know and love each other. Such tales of solidarity and shared sacrifice always seem beautiful to me. The last lines almost bring me to tears. “It is better to love outside the Garden with her than inside it without her. At first I thought she talked too much; but now I should be sorry to have that voice fall silent and pass out of life. Blessed be the chestnut that brought us near together and taught me to know the goodness of her heart and the sweetness of her spirit!” (108) I also enjoyed “The Esquimau Maiden’s Romance,” which I read as another commentary on wealth and social prestige. On one level we see the Esquimau embracing the concept of wealth and hierarchy through the collection of fish hooks. There are the same type of conspicuous consumption that Twain knew of too well in America. However, the value of the fishhooks—the source of wealth—is clearly superfluous to society. Much like the hoarders of wealth in late capitalist societies, their wealth is a fiction (even if their power is not). Thus, much of the story is an attempt to describe wealth in real terms, which inevitably enter into the interpersonal realm. “Travelling with a Reformer” is a humorous attack on the regulations and laws promoted by Progressive-era reformers, in this case a welfare capitalist targeting card playing. As for 1895, we have Twains’ dual polemics against James Feminore Cooper’s writing. Of course, Cooper’s “literary crimes” are real, but part of me wonders if Twain is not in part hacking the culture of efficiency that shaped industrializing America. Twain seems to be making a case that Cooper should have written according to scientific precision. I am supportive of wasteful writing, of course, hence this blog’s existence. Coming up: Twain’s later novels. In this quote, Mark Twain is giving a transhistorical definition of slavery. Fair enough, I suspect. He does the same with technology, which emerges as either a tool of oppression or a means of liberation. Modern or medieval they have those same potentialities. To begin, I want to say that Mark Twain gives technology a great deal of autonomy in A Connecticut Yankee in King Arthur’s Court. While we know he was caught up in the excitement for technology of his age. This enthusiasm led to his bankruptcy around the time that this novel was published over his investments into the Paige typesetters. I am not sure if we should read A Connecticut Yankee as Twain’s suggestion that context does not matter in the application of technologies, but that certainly seems to be the implication of the novel. The introduction of nineteenth century technologies to the sixth century promotes political and social reforms. While it is a great novel and very entertaining, it is not at all convincing that a sole time traveler could introduce the infrastructure of industrialization to the sixth century. Even in that episode of Star Trek where Data goes back in time (bumping into Mark Twain as a matter of fact) he only builds devices, not an entire infrastructure. The novel works as a polemic against slavery and arbitrary hierarchy. Where does technology fit into this picture? Most clear is how technology was the key to the rise of “The Boss” in Camelot. A time traveler, he was able to introduce first small technologies in order to become the greatest wizard in England. First secretly and then openly he rolled out a technocratic republic to replace the medieval monarchy of Arthur. This included public schooling, newspapers, industries, and modern weapons. “The Boss” uses technology to battle the evils of chivalry and over turn their dominance over the enslaved peasants. He is at times a “boss” trying to benefit himself and solidify his leadership of Camelot, but he is also a Robespierre always eager for a political revolution and willing to use technological reforms to affect it. After touring the countryside, “The Boss” and King Arthur are placed into slavery. After their escape, “The Boss” emerges eager to take on the cult of chivalry. He does this in a tournament, where he comes armed with a lasso and a revolver. After killing a dozen or so knights, he proves to all observers the triumph of his technology (really wizardry to the observers), but not yet his values. The revolution “The Boss” is after required violence. There is a bit of hypocrisy in “The Boss” over democracy. First, he is very much interested in securing his own power. For all his talk of destroying aristocracy, he did not seem to trust peasants with their freedom (they would need to be civilized first). In this he may reflect the values of nineteenth-century Western imperialism. When describing his battle in the tournament he thoughts: “It was born of the fact that all the nation knew that this was not a duel between two mighty magicians; a duel not of muscle or the mind, not of human skill but of super human art and craft, a final struggle for supremacy between the two master enchanters of the age.” (494) In this, he simply shifted the terms of the debate to what was most advantageous to an industrial-era machinist. Not quite a democracy, more of a technocratic meritocracy is in his mind. Like in many meritocracies and technocracies, the terms of merit are defined by those already in power. 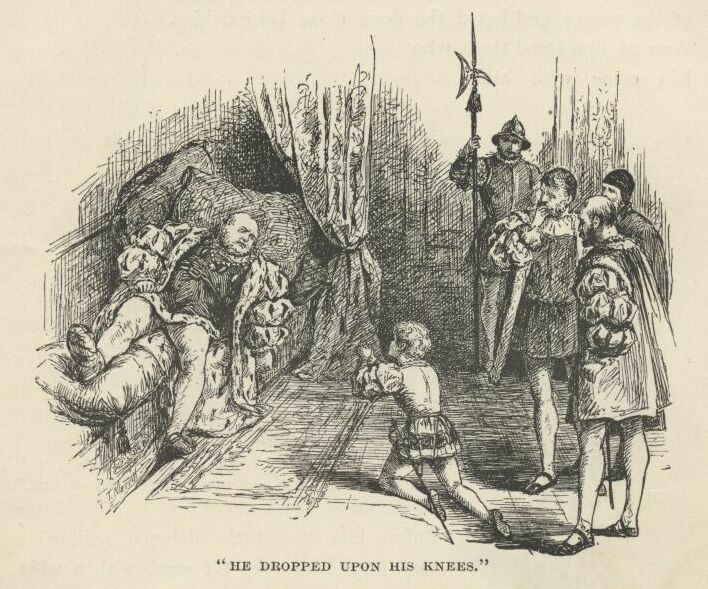 If “The Boss” is able to put nineteenth century technologies into medieval England while leapfrogging centuries of economic and political developments, it is not clear that democracy could be placed in Camelot without first some elements of the reforms of “The Boss.” He mentions that democracy is the only way to remove barbarism from the legal and political system. And as far as “The Boss” is concerned, elevating democracy requires brining along all of the nineteenth century along with him. Of course, that is what puts him in a bind at the end of the story when he is holed up with his technology with the corpses of 30,000 knights trapping him in. The climax to the story comes with the Church’s interdict over “The Boss” and his endeavors. This act is inspired as much by his political reforms, as his technological introductions. He promised to transform Camelot into a republic by replacing the king, when he dies, with an elected leader. The interdict leads to his fall, another suggestion that no matter how easily the technology is able to be placed in a new environment, the political and social transformation “The Boss” sought was an impossibility. For Mark Twain, social changes comes much more slowly and much more violently than technological revolutions. The challenge is not to transcend time, but to ensure that our moral and social values are reflected in the technologies we use. 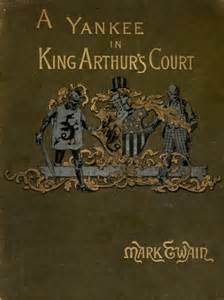 It seems to me that there are two major themes in Mark Twain’s A Connecticut Yankee in King Arthur’s Court. The first, which I will explore in this post, is about the nature of power—both real and imagined—in monarchical and democratic societies. The second, the topic of the second post on this lovely novel, is on technology. 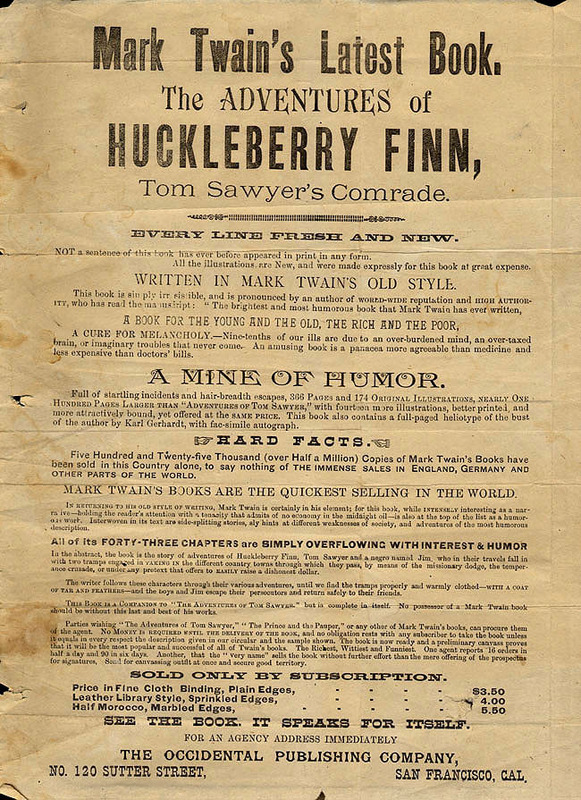 The novel came at the end of 1880s, an extremely productive decade for Twain, which saw some of his greatest works, including The Adventures of Huckleberry Finn. It was also during this period that Twain was investing heavily into technological innovation. The most infamous of these investments was in the typesetting machine that nearly bankrupted him, despite the substantial income he enjoyed from his writing. This fascination with technology and his growing anxiety with the increasing power of the technocratic, industrial elite inform this text. The story is of a machinist named Hank from Connecticut who is transported through time to Camelot during the reign of King Arthur. Although he is taken as a prisoner and about to be executed he uses his knowledge of a solar eclipse to (who remembers important dates in historical astronomy?) fool the court—and most importantly the king—into thinking he was a powerful wizard. He displaces Merlin, whose tricks seem commonplace in comparison. As the new power behind the throne (his salary is 1 percent of any increased revenues to the kingdom) he implemented many reforms, introducing newspapers, industry, Sunday schools, and education. But rather than a full transformation of society, he keeps many of these reforms underground, becoming just another (but more successful) wizard. He spends quite a lot of time debunking wizards, who are exposed as the sixth-century versions of nineteenth-century American con-artists. Twain is very much interesting in lampooning the values of chivalry and the intelligence of the people in early medieval Europe. 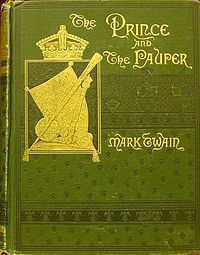 Whether or not Twain is a technocrat or a technophobe in this novel (both interpretations are possible) he finds little endearing about the world of King Arthur and is miles away from revival of chivalrous literature, popular in America and England at the time. Knights are murderous, vulgar and exaggerate their exploits for their own gain. Everyone in King Arthur’s time is presented as ignorant and easily tricked. The adventures knights go on are often little more than rampaging through the countryside. (Thus the ogres are in actuality pigs.) Merlin’s magic is little more than parlor tricks. 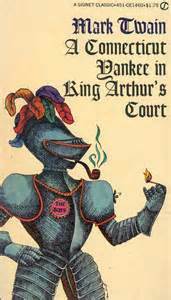 In a revisting of some of the themes of The Prince and the Pauper, Hank and Arthur spend some time in as peasants and are sold into slavery. Hank escapes and imposes his control over the knights through modern violence. The church puts an interdict on Hank and his realm, leading to a general rebellion against his little empire—now fully mechanized and industrial. He slaughters the knights with his modern warfare (in either a mocking of the gallantry of the Confederate military in the face of massive modern firepower or in a prediction of the First World War). The masses of bodies trap Hank in his cave, but Merlin’s magic allows him to sleep 1,300 years to return to his home and report on his adventures. Almost all the power in the novel is based on lies and deceptions and depends entirely on the gullibility of the people. This is true for the wizards, the knights, the king and eventually Hank. Hank clearly notices this from the start and is fully willing to use their ignorance to his advantage. “Well, it was a curious country, and full of interest. And the people! They were the quaintest and simplest and trustingest race; why they were nothing but rabbits. It was pitiful for a person born in a wholesome free atmosphere to listen to their humble and hearty outpourings of loyalty toward their king and Church and nobility: as if they had any more occasion to love and honor king and Church and noble than a slave has to love and honor the lash, or a dog has to love and honor the stranger that kicks him!” (262) Of course, this does not stop Hank’s manipulation of these characteristics, even as he works hard to find promising people and to bring them into his order of technocrats. It is a question in Tom Paine, the early anarchists, and many other anti-authoritarian thinkers: how was it possible that the few or the one rule the many? As far as Twain is concerned the answer seems to be simple ignorance, an ignorance eagerly cultivated by the elite. As Hank learns more about England in the early Middle Ages he comes to realize some of the moral implications of power on the people. It dulled their senses and their imagination while also making them a empty vessel that any ridiculous notion can be poured into. They even lost the ability to see the clear truth in front of them. Merlin’s magic, mostly less than illusions, consisted of claims that magic existed even when the truth was obvious that others accepted (much like religion in this regard). That a pig-sty could be a castle for the peasants was evidence of slavish acceptance of what they were told to believe rather than creative imagining. How is it that a man like Hank is able to work his way into the power structure? He lacks the titles and the heroic “adventures” of the knights. His initial appeal to the court and the people was simply as a much more effective, interesting, and new wizard. He is never quite accepted by the court as a commoner and an outsider, but he has enough of a utility to King Arthur to secure some protection and status, becoming eventually “The Boss,” a technocrat behind the scenes of the formal power. Despite coming from a democratic society, Hank becomes enamored with the idea of despotism. He ponders the possibility of a bottom up revolution at some point, but is much more eager to pursue top-down reforms , finding that to be the prefect form of government. “Unlimited power is the ideal thing—when it is in safe hands. The despotism of heaven is the one absolutely perfect government. An earthly despotism would be the absolutely perfect earthly government, if the conditions were the same, namely, the despot the perfectest individual of the human race, and his lease of life perpetual.” (274) Immediately after this Hank confesses that the despot’s death will ensure an inferior person takes over, turning the best form of government to the worst. Still, he pursues his power as a technocratic despot, with free reign to build his civilization parallel to the medieval barbarism. I never liked the suggestion that people had to become ready for self-rule. This seems to be where Twain is. Arthur and the knights cultivated and enforced ignorance. Hank accepted ignorance of the people as his starting point and used it to justify his claims of power. However, I am not sure it is a historical law that ignorance and subservience are an essential part of rural societies, or that moral progress is inevitable. My reading of the history of peasant societies shows a rather vibrant tradition of resistance and opposition. Of course, highlighting that would have made for a very different book. 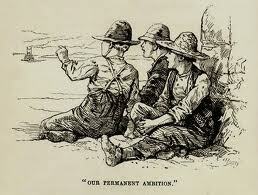 In my last post I looked at the adults we meet in The Adventures of Huckleberry Finn and concluded that with the exception of Jim, they were all odious. One possible conclusion to this is that Mark Twain was infantilizing Jim. As the introduction to The Adventures of Tom Sawyer stated: “The odd superstitions touched upon were all prevalent among children and slaves,” placing these two groups into a common religious realm. 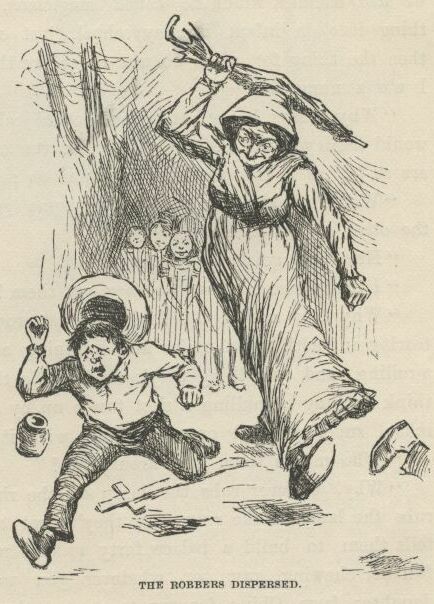 Some of the humor in The Adventures of Huckleberry Finn come from the discourses between these two regarding ghosts, superstitions, and vernacular understandings of astronomy. The other side of this coin is that being moral seems to require never growing up (or maybe growing up just enough to reach moral maturity but not too much that the disgusting adult world makes you quickly forget those values). See, the moral gravity of the choice is such that it places Huck into total rebellion against civilization (“never thought no more about reforming”). This is not new, perhaps, but it takes on a revolutionary character now. Before he rebelled against reform for personal liberty, but at this point he is willing to risk his eternal soul in aid of a friend. Notice that his thoughts dwelled on the solidarity that had been built up between the two. At this point in the story, Jim has been living in slavery on the Phelps farm. In reality he has already been freed according to Miss Watson’s will. Tom Sawyer, who was visiting the Phelps farm, knows this. Tom Sawyer clings onto Huck’s idea to free Jim and makes it a game. This is a point of great tension between the two. Both are working at freeing Jim, but for one is a revolution and for the other it is a game. Tom Sawyer wants to reenact the great escapes he read about in his books. Huck is searching for the most effective and safe way to free Jim (thinking that he is still enslaved and in great personal risk). Lacking the solidarity with Jim and believing that the stakes are low, Tom cannot take it serious. He constructs all kinds of elaborate mechanisms instead of simply liberating Jim. Bear in mind, Huck is not entirely pure in this regard. There was a point earlier in the novel where he treated Jim as a plaything. This was when they were separated in the fog. When reunited, Huck pretended that it was just Jim’s dream. Huck is unable to do this anymore. 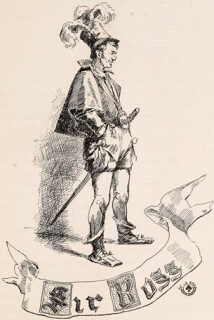 Shared sacrifice and solidarity created the moral necessity and seriousness required of the revolutionary path Huck pursued at the end of the novel. This is something Tom could not see (but perhaps he could have given the right experiences). I suppose this is leading me to a warning against a too carnivalesque approach to revolution and resistance, but I am not sure a revolution cannot be both fun and serious (although I know that often this cannot be and we must be prepared to act with deadly seriousness). Certainly we should let the play get too much in the way of doing what is needed, especially when the stakes are high. Neither should we allow play make things more difficult. This is what Tom does. “You got to invent all the difficulties. Well, we can’t help it, we got to do the best we can with the materials we’ve got. Anyhow, there’s one thing—there’s more honor in getting him out through a lot of difficulties and dangers, where there warn’t one of them furnished to you by the people who it was their duty to furnish them, and you had to contrive them all out of your own head.” (858) We do not need to wait for the revolution or the barricades. There are plenty of easily achieved (if not riskless) actions we can take now, without all the pomp. At the end of The Adventures of Tom Sawyer Huck chooses to be civilized for the privilege of playing robbers with Tom Sawyer. 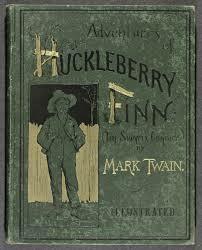 At the end of The Adventures of Huckleberry Finn, he is done playing games. But neither is he grown up. He is not Injun Joe, the Duke or the King, or any of the other disgusting adults that populate these stories. Tom could grow up to be the Duke, or even Judge Thatcher, but for Huck there is only the Indian Territory. This comes from Huckleberry Finn’s thoughts after reading the poetry of Emmeline Grangerford, who died as a child. What we know about Grangerford adults—slaveholdes, murders, petty, jealous—we are somehow glad she did not grow up. Her poem, which Huck read, was about a boy who drown. Her poems were acts of selflessness, tributes. Why is it that solidarity and selflessness seems to come only from the children that Huck Finn encountered on his adventure? Every time I read Mark Twain’s The Adventures of Huckleberry Finn (this is maybe the four time and the second time this year), I am struck first and foremost by how utterly disgusting most of the white adults in the story are. 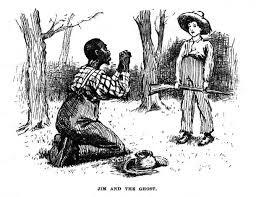 As for blacks, we really only meet Jim and the slaves who give refuge to Jim, while Huck is taken in by the Grangerfords. If we want to be hard on Twain, we can accuse him of infantilizing Jim by not giving him the same vile characteristics as the other adults in the book. We have two plot lines in the novel. The first deals with Huck achieving his moral autonomy when committing to freeing Jim and learning to see him as more than a plaything. The second is the series of odd adults that Huck encounters, all with their own brand of odious personal defects, some of them personal, but a great many systemic and products of the civilization they lived in. Of course, even if Huck marginally preferred the physical brutality of pap to the moral and mental abuse of the Widow Douglas, pap is utterly disgusting. 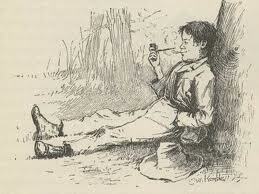 He is after the money Huck earned in The Adventures of Tom Sawyer, steals the little that Huck has on hand to drink, beats Huck, and locks him in a room while he is gone. He is also thoroughly racist and resents any blacks with even a smidgen of education or status. In a two-page rant he dwells on a free black who could vote. Let me add a Festivus grievance at this point. The Wikipedia entry for Huckleberry Finn (the character, not the novel) has a significant section on the impact of pap’s alcoholism on Huck. It is well sourced. 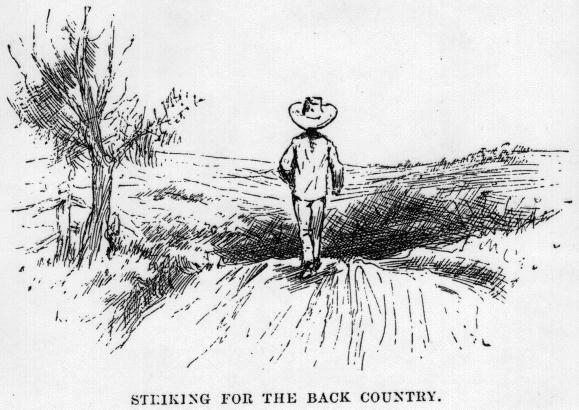 I guess someone was going to write a silly psychological profile of Huck Finn especially, but I was surprised to find one that utterly missed the point that Huck is the freest and most moral character in the novel. Instead, these scholars have focused on how Huck was mentally, intellectually, and morally damaged by being raised by pap. I do not want to defend abusive drunk parents, but instead point out the stunning resilience of children in the face of the violence of the adult world. Below is the really stupid part, which suggests that some of Huck’s best qualities are a result of the violence he experienced at home. In their own words, they choose whatever will make them money. “Jour printer, by trade; do a little in patent medicines; theatre-actor—tragedy, you know; take a turn at mesmerism and phrenology when there’s a chance; teach singing-geography school for a change; sling a lecture, sometimes—oh, I do lots of things.” (744) Their first scam to make money after being with Huck and Jim is to put on a revival, ending with donations for a missionary venture to Asia. In a way, there is some play involved in the Duke and the King’s efforts (I think the professionalization of careers limits us too much), but in the end they are looking to take advantage of everyone they can. At one point they even sell Jim. While on the surface they appear as interesting playmates, they also turn out to be characteristic of the worst aspects of antebellum American civilization. Ah, yet another autobiographical travelogue by Mark Twain. Over the past few weeks, I have read around 1,400 pages of his writing in this genre without losing interest. Life on the Mississippi is half coming of age story and half travel narrative. The first part concerns his youth working as a steamboat pilot and documents how he got into this profession and craft. The second half is about his later travel on the Mississippi in a steamboat during the professions decline due to the rise of railroads. As a history of the transportation revolution in the United States, Life on the Mississippi remains compelling, especially since it examines how the changing nature of transportation shaped one profession. This is something that still shapes our experience of global capitalism. The decline of longshoremen in the age of containerization is simply one example of this phenomenon in our time. 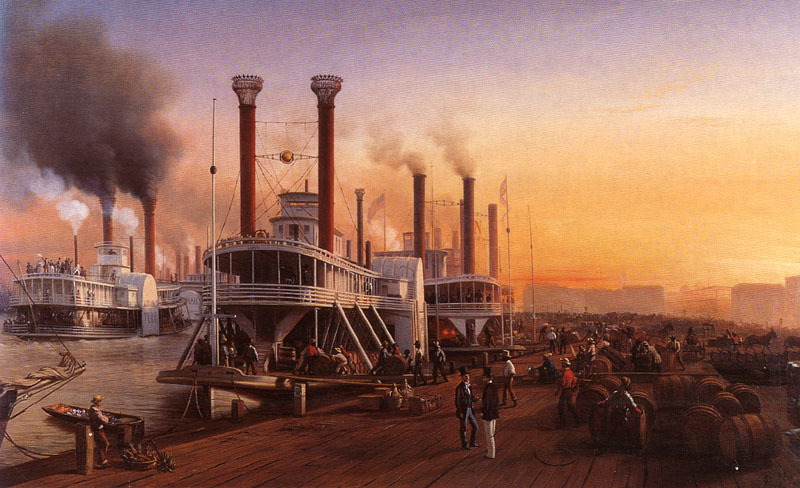 In the first half of the book, we are mostly interested in how becoming a steamboat pilot shaped Samuel Clemens’ experience and knowledge of the Mississippi River. 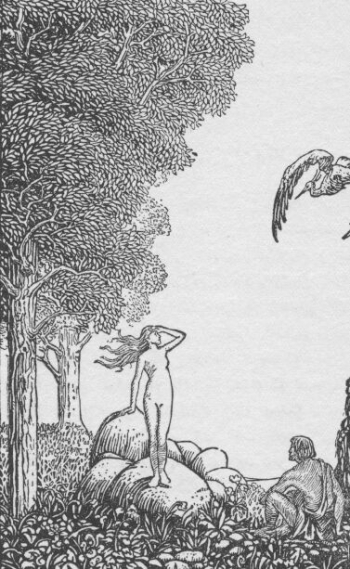 As the book begins, the river is presented in mythical terms with a deep history and an organic life of its own. As a boy, young Clemens fantasized about the river and a future career on it. 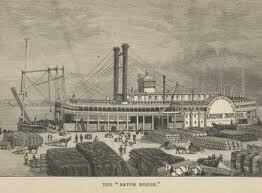 He idealized the heroes of the steamboat business “Boy after boy managed to get on the river. The minister’s son became an engineer. The doctor’s and the post-master’s sons became ‘mud clerks;’ the wholesale liquor dealer’s son became a bar-keeper on a boat. . . Pilot was the grandest position of all.” (256) This position had glory, but all boys dreams of careers on the river. Becoming a pilot led to a change in how Clemens saw the river. It went from being mythical and beautiful and endless to something more mundane. Pilots had to know the river at the local, minute level. No longer able to look at it as a whole with beauty, Clemens began to see the river as a workplace. “No, the romance and the beauty were all gone from the river. All the value any feature of it had for me now was the amount of usefulness it could furnish toward compassing the safe piloting of a steamboat. Since those days, I have pitied doctors from my heart. What does the lovely flush in a beauty’s cheek mean to a doctor but a ‘break’ that rippled above some deadly disease? Are not all her visible charms sown thick with what are to him the signs and symbols of hidden decay? Does he ever see her beauty at all, or does n’t he simply view her professionally, and comment upon her unwholesome condition all to himself? And does n’t he sometimes wonder whether he has gained most of lost most by learning his trade?” (285) I think the same could be said of academia, which many of us got into under a delusion acquired from our deluded perception of the classroom from the student’s perspective. Once through it, it looks more and more disgusting. That loss aside, is there not something more we can learn from the steamboat pilot. Most of the first half contains the details of the craft of being a pilot. I suppose every major economic or technological change allows the introduction of a new craft for some skilled workers. Many of them are likely as rich and interesting as piloting if looked at closely. There is something attractive in the idea of a craft to me, as an alternative to work. There is status and hierarchy in the profession, but it is at least earned (which is more than we can say for most hierarchies). Unlike the merchant ship, or the whaling ships of Melville, there is an absence of the brutal and arbitrary authority common in hierarchies. Twain writes of the steamboat crew as an egalitarian space. “In truth, every man and woman and child has a master, and worried and frets in servitude; but in the day I wrote of, the Mississippi pilot had none. The captain could stand upon the hurricane deck, in the pomp of a very brief authority, and give him five or six orders while the vessel backed into the steam, and then that skipper’s reign was over.” (313) Of course, this is because the pilot was a necessity due to his knowledge. The captains were dependent on the skills of the workers. Knowledge of a craft is empowering. He even included two chapters on this specific point (“Rank and Dignity of Piloting” and “The Pilot’s Monopoly”). That said, the path of history has been to eliminate each craft in turn, deskilling jobs. We do not have enough for a strict comparison with railroad work, but my guess it that it provided fewer opportunities for true autonomy at work than steamboat piloting. While providing autonomy and power, owning a craft also made Clemens’ job less like work. It as more of an intellectual activity, and if not quite play it was certainly not the brutal drudgery of most work in capitalist economies. He compares the knowledge of the local environment required of pilots with the knowledge of the Bible required by preachers. The profession also provided lots of time for converse, drink, smoke, flirting and watching the diverse crews. One large part of their play consisted of observing the time it took ships to reach New Orleans, developing this into competitions. My preference is still to use technology to abolish as much work as possible, but reading Life on the Mississippi has reminded me that pleasure can be found through employment, even if framed through capitalist economies. That does seem to require a certain degree of autonomy and worker self-management. I think this book has a place in discussions about how we move to worker self-management and convince of a future without debilitating and odious work. 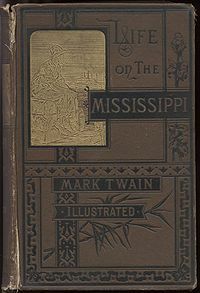 The second half of Mark Twain’s Life on the Mississippi is about his return to the Mississippi River for a trip to New Orleans and back north, sometime after the Civil War (I cannot locate the exact date of this trip). In the first part of the narrative, I was attracted to Mark Twain’s description of the craft of becoming a steamboat pilot and resurrection the idea that craft-based occupations may be part of the escape from the drudgery of work. The second part takes a different tone and approach, consisting mostly of assorted stories and observations of the areas. It goes from strictly autobiographical to the character of his other travel narratives, combining made up anecdotes, tales, serious observations, and philosophical musings. We are put in a world undergoing dramatic change with the defeat of the Cotton South and slavery in the Civil War and pulling of the West into the global capitalist economy of the Gilded Age. The future of the steamboat would be tourism. The railroads would take over the heavy lifting of integrating the region into the world. He describes growing cities, modern stock markets, electrified streets, and new colleges, newspapers and institutions. Despite undergoing dramatic transformations, the signs of the heavy historical burden of slavery and cotton farming existed. At one point, Twain calls these the tell-tale signs of the “absolute South . . . no modifications, no compromises, no half-way measures.” (468) The countryside, to Twain’s eyes did not change much from the time of his youth on the Mississippi. Change and continuity is the major theme of the book in a way, reflecting the natural history of the Mississippi, which also was known to change its course, despite seeming an enduring central artery of the continent. The Prince and the Pauper is the first of three novels (one a quasi-biography) set in Europe in the medieval and early modern period. All three, in good American fashion, stress the hierarchical, aristocratic and brutal nature of European society. The Prince and the Pauper does this by making clear the arbitrariness of aristocratic status and revealing the moral failings of the ruling classes. The novel also shows that class matters in the development or children’s moral order. 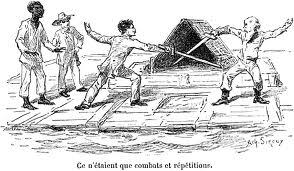 In this way, it is hard not to set is next to a work like The Adventures of Huckleberry Finn, written around the same time, which suggests a Rousseauian inert morality in the uncivilized. Like Huck, Tom Canty was often left to his own devices and raised by drunks, but much more moral than the society surrounding him. It is not quite an argument that poverty and neglect makes good people. Tom Canty’s father may have been poor and neglected as well, but emerged to be quite a brutal father. What is more clear is that an elite upbringing leads to absurd values and awkward relations with other people. The Prince and the Pauper is well-known and often retold. It is one of the most well-known tales in American literature, although I suspect it is more known from its derivations than the original. The tale is set in London, right before and after the death of Henry VIII. Prince Edward accidentally switches places with a street kid, Tom Canty. When the king dies, Tom is elevated to king. His odd actions and decisions (he was not prepared for the role of course) are explained away by advisers. Meanwhile, Edward has a series of adventures in the streets, made humorous by his insistence that he is not Tom, but a prince (later King). Normalcy is arrived at when Edward crashes his own coronation. Tom, who does not really want to be king after all, switches places, but Edward grants him some benevolence, making him a ward of the crown. Much of the class-based brutality of early modern London was institutional. Twain knew as much as incorporated these institutions into his explanation of Tom’s life. Edward will experience these same institutions during his stint at Tom. “Drunkeness, riot and brawling were the order, there, every night and nearly all nights long. Broken heads were a common as hunger in that place. . . . He only begged just enough to save himself, for the laws against mendicancy were stringent, and the penalties heavy.” (13) Later Edward will spend some time in prison. Much of the life of the poor consisted of evading and staying just enough on the right side of the law to avoid the full violence of the state from beating them down. Twain uses Edward’s stint in prison as a change to contemplate the morality of the criminalization of poverty and dissent (such as being a Baptist). Although poor, Tom liked to replicate the lives of the aristocracy, creating his own royal court. Like Tom Sawyer’s pirate band, it is both a form of place and an attempt to create his own world of autonomy and empowerment. This play prepares him only slightly for his future role as the king. The problem was that he was ill-suited to be a king because he lacked the training in being brutal. We learn little about it, but we imagine Tom Canty’s royal court was benevolent to the people. When he brings that to the court, is is certainly awkward for the real court to watch. He knew little about royal life, as an abused child the concept of a whipping boy was baffling to him (as it should be to all but the totally deranged aristocracy). The most notable thing about Tom’s time as king is his benevolence to criminals. Perhaps because these are the people he knew, or perhaps because of his own fear of the law, Tom pardoned the people who came before him, regardless of their crimes. While a proper king can think only of the law and justice (at least that is how they justify the brutal application of the law), Tom understood how odious the state’s mechanisms of justice where. “Death–and a violent death–for these poor unfortunates! The thought wrung Tom’s heart-strings. The spirit of compassion took control of him, to the exclusion of all other considerations; he never thought of the offended laws, or of the grief or loss which these criminals had inflicted upon their victims, he could think of nothing but the scaffold and the grisly fate hanging over the heads of the condemned.” (92) Tom never learns to king. Well, Edward does clean up some of the mess monarchy has created after returning to his privileged position. He gets that guy out of slavery, he redeemed a few criminals, and made Tom a ward. His reforms are highly personal, based on his experiences as a pauper. This is not necessarily bad, but it is not akin to Scrooge focusing his efforts on his clients and employee. Those were the site where he caused harm. As monarch, Edward was the heart of the system. We should expect more than an emotional reaction to his experiences. That is something that Tom and Edward had in common; they both failed to address themselves to the broader need for justice, making reforms at the individual, not systematic level.